At Learn Jazz Standards LLC, we recognize that privacy of your personal information is important. Here are the types of personal information we may collect when you use and visit LearnJazzStandards.com, and how we safeguard your information. We never sell your personal information to third parties. We also use third party advertisements on LearnJazzStandards.com to support our site. Some of these advertisers may use technology such as cookies and web beacons when they advertise on our site, which will also send these advertisers (such as Google through the Google AdSense program) information including your IP address, your ISP, the browser you used to visit our site, and in some cases, whether you have Flash installed. We also may use DART cookies for ad serving through Google’s DoubleClick service, which places a cookie on your computer when you are browsing the web and visit a site using DoubleClick advertising (including some Google AdSense advertisements). This cookie is used to serve ads specific to you and your interests (“interest based targeting”). The ads served will be targeted based on your previous browsing history (For example, if you have been viewing sites about visiting Las Vegas, you may see Las Vegas hotel advertisements when viewing a non-related site, such as on a site about hockey). If you share your email address with LearnJazzStandards.com via the contact page, we will only use it to contact you, and will NOT add you to any lists or newsletters without your consent. 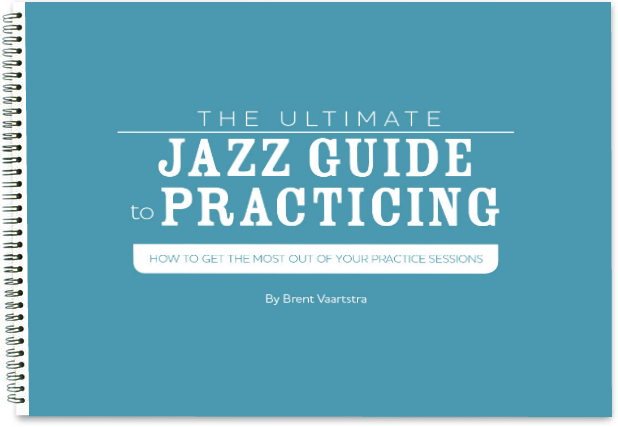 In addition, if you sign up for the free newsletter, your email address will only be used to send special offers and updates from LearnJazzStandards.com. Addresses are recorded and kept secure through MailChimp, which we use to distribute information to our subscribers. Neither MailChimp nor LearnJazzStandards.com will give or sell your address to any third party, nor will you be added to any additional lists. If at any point you wish to be completely deleted from our databases, whether it be as a newsletter subscriber or an account holder on learnjazzstandards.com, you have the complete right to do so. Contact us, and we will ensure your data is cleared from our system. If you ever wish to reach out to us regarding the use of your data, we are reachable at [email protected] Additionally, you can use our contact page, to reach out any time. In short, your information is safe with us, and we greatly value your trust. Thanks for using Learn Jazz Standards! We’ve created this page so that you (and any visitor to LearnJazzStandards.com) will understand the terms and conditions that govern your use of this website. The content found on any page of this website is for your general information and use only, and it is subject to change without notice. This website contains some material which is owned by or licensed to us. This material includes, but is not limited to, the design, layout, look, appearance and graphics. Reproduction is prohibited other than in accordance with the copyright notice, which forms part of these terms and conditions. All logos, trademarks, and other intellectual property found on LearnJazzStandards.com are the property of their respective owners. They do not indicate ownership, affiliation, sponsorship, or any other relationship with LearnJazzStandards.com. In addition, this website may also include links to other websites. These links are provided for your convenience to provide further information. They do not signify that we endorse those websites, and we have no responsibility for the content of those linked websites. Your use of this website and any dispute arising out of such use of the website is subject to the laws of the United States of America. Any unauthorized use of this website may give rise to a claim for damages and/or be a criminal offense. Because these are digital downloads, and not returnable, we have a strict no refund policy. All purchases are final and cannot be reversed. Please be sure that you fully understand the product you are purchasing and what is and what is not included. Of course, if you ever have any questions about a product feel free to contact us or visit our FAQ page. Please make sure you completely understand the product you are buying before purchasing. This guarantee lasts 14 days, which completely covers almost half of the course, enough for you to observe its’ effectiveness. We can’t guarantee you will be Miles Davis, Charlie Parker, or John Coltrane in 2 weeks. We’d be suspicious of anyone who could promise that. Becoming a better jazz musician is a process and it requires work. If you’re not happy with the quality of this program…send us an email and showing you did the work. We’ll refund 100% of your money (We’ll even eat the credit-card processing fees) and we’ll part as friends. We believe in the power of this course and so we’ll take responsibility for it. All digital products are for the use of the individual customer only. Redistribution or reselling of our digital products is strictly prohibited and a violation of United States and New York State law.